Are you trying to accomplish SEO and competition analysis but are frustrated about the limited reports of the tools you have been using? SERPIQ is an advanced competition analysis tool and gives you lots of key reports including SEO optimization and backlink analyses. What you will find very useful is that SERPIQ will evaluate your website compared to the competition on the front page of Google. Then, it will tell you exactly what piece of the puzzle your site is missing, what SEO optimization actions you need to take and where you have lack of advantages over your competition. The following is an overview of what SERPIQ offers its users, what features and benefits it provides and how it saves time and frustration doing SEO and competition analysis. SERPIQ provides advanced competition breakdown feature which uses their competition index algorithm and gives information about how top results are competitive for your keyword. The great benefit here is that you can easily judge the competitiveness of a keyword and make the right decision about including that keyword in your keyword list or not. SERPIQ is unique not only for its analysis but also for the way it interprets the data. It analyzes the data in a sophisticated way and presents meaningful reports in a very clear way. Also, it provides detailed data graphs which clearly display all important metrics and enables you compare and evaluate the entire competition. During your competition analysis, SERPIQ provides you with all the possible data. For example, it pulls related keywords from Google automatically and gives you a chance to find and target less competitive and more profitable keywords. Moreover, it gives you On-Page and Off-Page SEO scores, Alexa data, Meta information, Reading Level data and social factor analysis of your keywords easily and automatically. By using SERPIQ, you can discover and analyze hundreds of related, profitable and uncompetitive keywords instantly. 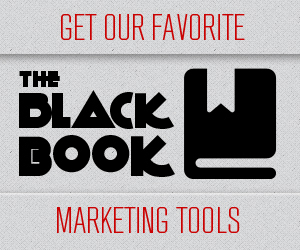 The tool presents the most advanced filtering system available on the market. You can filter keywords by search volume and domain availability and get the CPC and EMD Data of any related keyword. When you find keywords that are worth further analysis, you can get instant competition analysis with just a click. Competition Analyzer function of the tool generates a detailed report instantly and gives you the chance to evaluate every data point rationally. SERPIQ is one of the most crucial tools you need for the success of your online marketing projects. Obviously, the research and analysis you get from SERPIQ would take you hours if you do them manually. If you want to take your campaigns to the next level, you should take advantage of the benefits of SERPIQ. Don’t take my word, visit http://serpiq.com/ now and try SERPIQ for free. I just wanted to reach out and let you know that we’re in the middle of completely retooling our entire backend and user interface, as well as changing our pricing as well. If you’re interested, I can send that out to you when our beta launches!